WILDOCEANS, a programme of the WILDTRUST is just over a year old with its focus being on marine conservation, research and advocacy and awareness. WILDTRUST prides itself in partnering with passionate organisations working on conserving the marine environment and innovating ways to save the planet and make it sustainable for everyone. One such organisation is the Global Ocean Biodiversity Initiative (GOBI). GOBI is an international partnership of 40 organisations committed to advancing the scientific basis for conserving biological diversity in the marine environment. Since GOBI’s inception in 2008 it has extended its reach in many countries. GOBI is supported by the International Climate Initiative (IKI), the German Federal Ministry for the Environment, Nature Conservation, and Building and Nuclear Safety (BMUB). Central to GOBI’s objectives is the need to support relevant regional and global organisations to identify ecologically and biologically important areas of ocean through research. GOBI is under-represented in the Southern African region, but the partnership with WILDOCEANS hopes to change this. 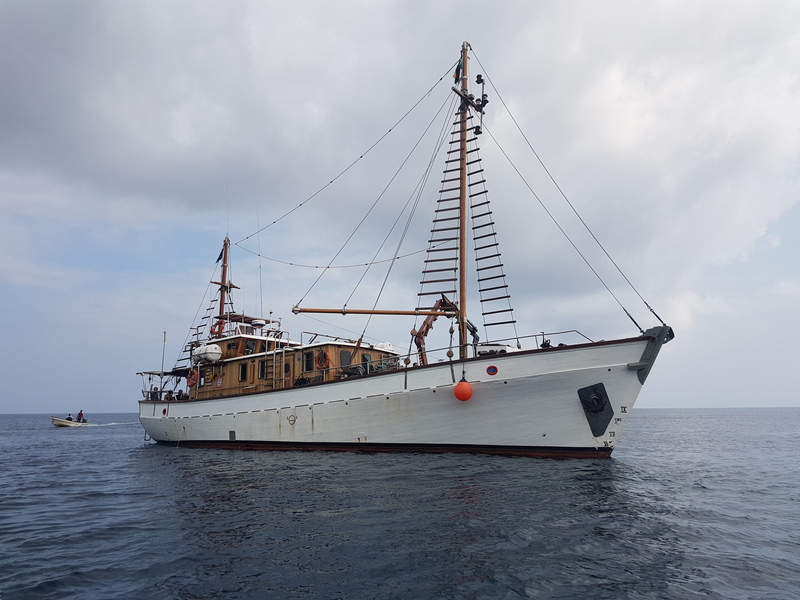 In an effort to continuously improve our knowledge of local and regional marine ecosystems, WILDOCEANS embarked on a few expeditions in 2018 on board its 72ft research vessel, the Angra Pequena. The expeditions have led to wonderful discoveries, including new species like the sea bat fish (Halieutaea sp) and a sighting of a coelacanth (Latimeria chalumnae) – otherwise known as the dinosaur fish, once thought to be extinct. The contribution of such expeditions to marine research makes the new GOBI partnership that much more appreciated. “We are excited about joining GOBI and the opportunities to partner on important marine issues”, said Dr Jean Harris. GOBI’s current central project is a 5-year programme which consists of scientific activities which will ultimately provide a basis for promoting environmental protection and management for specific areas of the world’s oceans. The scientific themes of the project include important marine mammal areas and biogeographies for the south-west Pacific and Indian oceans. This is a step in the right direction for many data-deficient marine ecosystems in the Southern African region. WILDOCEANS recently applauded cabinet’s approval of 20 new and expanded marine protected areas. The move brings the total protection of the oceans around South Africa up to five percent (up from 0.4%). The organisation looks forward to engaging and contributing as much as it can to the goals of GOBI.